Earlier this year, Jefferson Frank released its first ever report into salaries, benefits, and working trends in the AWS ecosystem. Featuring self-reported opinions and input from more than 500 AWS professionals, the annual AWS Salary Survey report uses over 47,000 thousand data points to determine average salaries for a number of job roles and seniorities across four countries. We hope this survey will be a useful tool to help AWS professionals benchmark their salaries and get the latest information on industry trends for many years to come; we’d love to hear your thoughts for our next edition, so keep an eye out for future surveys. As part of the survey, we asked AWS professionals to give us their take on the good, the bad, and the ugly of the AWS product catalog. We’re going to take a look at the top ten most-used AWS services as reported by our survey respondents, find out why they’re so popular with cloud pros, and hear what can be done to improve them; directly from the AWS community. The most popular AWS product among cloud professionals was Elastic Compute Cloud (EC2). EC2 has become a core part of many AWS users’ infrastructure, offering raw computing resources on demand. EC2 benefits include that the instances it provides are scalable both horizontally and vertically, it offers an enormous amount of freedom, and its pay-as-you-use pricing make it accessible. The service is continuing to evolve with a number of new features for EC2 launched in the past year, including the ability to pause and resume workloads without having to modify existing applications. Last month, ahead of this year’s re:Invent conference, a powerful new predictive scaling upgrade was announced. This feature can be added to existing scaling configurations using a checkbox, and uses custom parameters to predict the length of an SQS queue. According to the survey, the majority of observations about EC2 were positive, with users praising the product’s scalability, quick deployment times, and cost-cutting potential. The service’s main benefits, users stated are its elasticity and the ease and speed with which it can be deployed. It’s certainly not a perfect platform, though, with some respondents criticizing EC2’s lack of flexibility when it comes to cross-region networking, and the fact that it’s not as granular as EKS. Some users also commented that, although in theory EC2’s pricing structure should make costs more manageable, running certain types of workload with EC2 can be expensive. A useful tool for Amazon EC2 users, Auto Scaling allows users to automatically scale capacity based on pre-defined conditions. Users praised the service for providing high availability, less downtime, and the ability to scale instances up and down at speed. Another key advantage of using EC2 Auto Scaling, according to survey participants, is its ability to improve fault tolerance. Users can create a group with Auto Scaling to autonomously kill off unhealthy instances and launch new ones in their place. Another great sidekick to EC2, Amazon Elastic Block Store offers backup services for AWS instances, with high availability, and data encrypted block-level storage volumes in a number of volume options. The majority of respondents using Amazon EBS noted the product’s ease of set-up, storage flexibility—thanks to the option to support volumes by a solid state drive or hard disk drive—and straightforward storage management. Lack of ability to reduce size, limited configuration options, and sluggishness in deployment were a few of the drawbacks cited by users. AWS’s object storage service, Amazon Simple Storage Service(S3) is a core tool for backup and data archiving on the AWS platform. With various storage classes available depending on how often, and how quickly, data needs to be accessed, cloud professionals lauded S3 for its low costs, in addition to its ease of use, reliability, and powerful access and retention management. Limited file system support and a cumbersome interface that can make essential file management, and nightmarish cross-account access were the key aspects said to be holding the service back. Monitoring your cloud infrastructure is essential to keeping things working as they should. Amazon CloudWatch allows individuals regardless of their role to monitor their infrastructure. Users found CloudWatch especially useful for allowing simple, non-interventionist management of security procedures, and enabling full automation of security best practices. Amazon Relational Database Service (RDS) is AWS’s console that allows users to build, manage, and scale relational databases using the world’s most popular open source database platform. Survey respondents touted RDS as an industry-standard service, offering a huge range of engines, amazingly easy to setup, and far easier to manage than MySQL on EC2. All these great features obviously come with a price tag however, and many users also commented that RDS can be expensive, particularly in comparison to other AWS database services. An on-demand serverless compute tool, AWS Lambda lets users run and scale backend code automatically, without the need for dedicated EC2 servers. Operated on a pay-per-run basis, AWS professionals were big fans of how manageable AWS Lambda costs were, and how fast convenient the service was to use, especially without the need to manage infrastructure to access it. The expansive choice of languages and its dependability were also extoled. Like the Mary Poppins of AWS, Lambda was called “excellent in almost every way” by survey respondents, indicating its extensive handiness across many use cases. It’s not ideal for cases when always-on or low latency is required. Users also pointed out that Cloud9 Integrated Development Environment (IDE) for Lambda is not stable for enterprise usage. As its name implies, Amazon Simple Notification Service(SNS) is a simple service that allows AWS users to deliver push notifications, email, and SMS messages. Survey respondents commended the service as easy to use, and highly scalable. AWS CloudFormation helps users model and deploy their AWS resources in a more efficient way, meaning less time needs to be spent on resource management. Users applauded CloudFormation as an easy way to manage infrastructure, enabling more time to be dedicated to applications by facilitating automation and repeatability. Though extremely fast, and useful for multi-account setup, some cloud pros complained about the lack of support for newly launched AWS services. Issues were also raised around the product’s limitation to AWS components and lack of multi-cloud options, plus the fact that not all parameters can be set automatically. A load-balancing service for AWS instances, Amazon Elastic Load Balancing (ELB) distributes incoming app traffic and automatically scales available resources in order to meet varying traffic demands. Its application load balancing was commended as one of the service’s best features, along with impressive path routing. Drawbacks, however, included complexities with multi-region load balancing, and a lack of external monitoring. Sam Samarasekera is a Business Manager at Jefferson Frank, the global experts in AWS recruitment. With almost five years of experience, Sam specializes in finding great jobs for contractors in the Amazon Web Services space. Over the course of his professional career, Sam has developed an in-depth understanding of the cloud computing market and the various tech staffing challenges faced by businesses around the world. Using his expertise and industry knowledge, Sam has played an integral role in building Jefferson Frank into the recruitment agency of choice for AWS. Jennifer Davis is a Senior Cloud Advocate at Microsoft. Jennifer is the coauthor of Effective DevOps. Previously, she was a principal site reliability engineer at RealSelf, developed cookbooks to simplify building and managing infrastructure at Chef, and built reliable service platforms at Yahoo. She is a core organizer of devopsdays and organizes the Silicon Valley event. She is the founder of CoffeeOps. 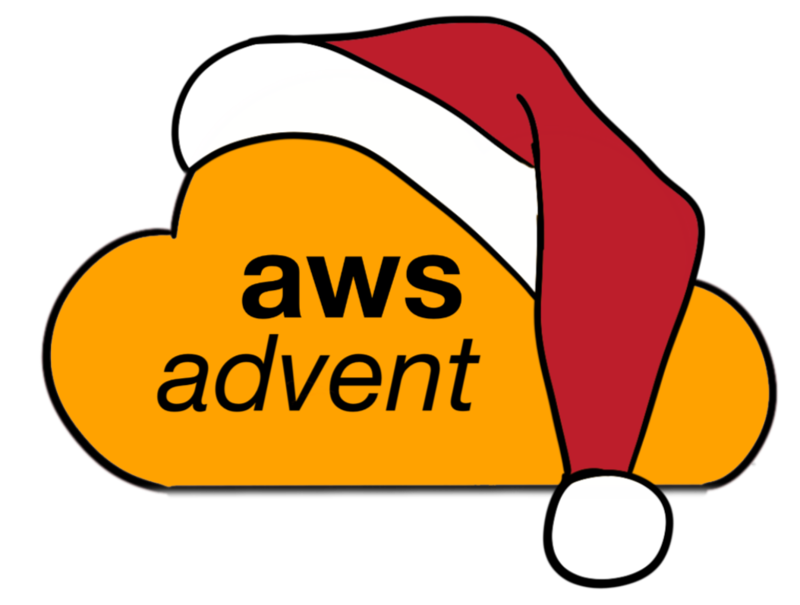 AWS Advent 2014 is a wrap! AWS Advent 2014 is a wrap! The response this year has had me so excited! Today’s post on using Ansible to help you get the most out of CloudFormation comes to use from Soenke Ruempler, who’s helping keep things running smoothly at Jimdo. No more outdated information, a single source of truth. Describing almost everything as code, isn’t this one of the DevOps dreams? Recent developments have made this dream even closer. In the Era of APIs, tools like TerraForm and Ansible have evolved which are able to codify the creation and maintenance of entire “organizational ecosystems”. This blog post is a brief description of the steps we have taken to come closer to this goal at my employer Jimdo. Before we begin looking at particular implementations, let’s take the helicopter view and have a look at the current state and the problems with it. We began to move to AWS in 2011 and have been using CloudFormation from the beginning. While we currently describe almost everything in CloudFormation, there are some legacy pieces which were just “clicked” through the AWS console. In order to to have some primitive auditing and documentation for those, we usually document all “clicked” settings with a Jenkins job, which runs Cucumber scenarios that do a live inspection of the settings (by querying the AWS APIs with a read-only user). While this setup might not look that bad and has a basic level of codification, there are several drawbacks, especially with CloudFormation itself, which we are going to have a look at now. So you might say: “OK, then let’s rebuild the clicked resources into a CloudFormation stack.” Well, the problem is that we didn’t describe basic components like VPC and Subnets as CloudFormation stacks in the first place, and as other production setups rely on those resources, we cannot change this as easily anymore. Here is another issue: The usual AWS feature release process is that a component team releases a new feature (e.g. ElastiCache replica groups), but the CloudFormation part is missing (the CloudFormation team at AWS is a separate team with its own roadmap). And since CloudFormation isn’t open source, we cannot add the missing functionality by ourselves. So, in order to use those “Non-CloudFormation” features, we used to click the setup as a workaround, and then again document the settings with Cucumber. So we need something which could be extended as a CloudFormation stack with resources that we couldn’t (yet) express in CloudFormation. And we need them to be grouped together semantically, as code. Some resources require post-processing in order to be fully ready. Imagine the creation of an RDS MySQL database with CloudFormation. The physical database was created by CloudFormation, but what about databases, users, and passwords? This cannot be done with CloudFormation, so we need to work around this as well. Our current approaches vary from manual steps documented in a wiki to a combination of Puppet and hiera-aws: Puppet – running on some admin node – retrieves RDS instance endpoints by tags and then iterates over them and executes shell scripts. This is a form of post-processing entirely decoupled from the CloudFormation stack, actually in terms of time (hourly Puppet run) and in also in terms of “location” (it’s in another repository). A very complicated way just for the sake of automation. Currently we use the AWS CLI tools in a plain way. Some coworkers use the old tools, some use the new ones. And I guess there are even folks with their own wrappers / bash aliases. A “good” example is the missing feature of changing tags of CloudFormation stacks after creation. So if you forgot to do this in the first place, you’d need to recreate the entire stack! The CLI tools do not automatically add tags to stacks, so this is easily forgotten and should be automated. As a result we need to think of a wrapper around CloudFormation which automates those situations. The idea of “single source information” or “single source of truth” is to never have a representation of data saved in more than one location. In the database world, it’s called “database normalization”. This is a very common pattern which should be followed unless you have an excellent excuse. But, if you may not know better, you are under time pressure, or your tooling is still immature, it’s hard to keep the data single-sourced. This usually leads to copying and pasting hardcoding data. Examples regarding AWS are usually resource IDs like Subnet-IDs, Security Groups or – in our case- our main VPC ID. While this may not be an issue at first, it will come back to you in the future, e.g. if you want to rollout your stacks in another AWS region, perform disaster recovery, or you have to grep for hardcoded data in several codebases when doing refactorings, etc. So we needed something to access information of other CloudFormation stacks and/or otherwise created resources (from the so called “clicked infrastructure”) without ever referencing IDs, Security Groups, etc. directly. Now we have a good picture of what our current problems are and we can actually look for solutions! My research resulted in 3 possible tools: Ansible, TerraForm and Salt. As of writing this Ansible seems to be the only currently available tool which can deal with existing CloudFormation stacks out of the box and also seems to meet the other criteria at first glance, I decided to move on with it. $ cfn-[create|update]-stack webpool-saturn-dev-eu-west-1 --capabilities CAPABILITY_IAM --parameters "VpcID=vpc-123456" --template-file webpool-saturn-dev-eu-west-1.json --tags "jimdo:role=webpool,jimdo:owner=independence-team,jimdo:environment=dev"
Awesome! We finally have great tooling! The YAML syntax is machine and human readable and our single source of truth from now on. As for added power, it should be easier to implement AWS functionality that’s currently missing from CloudFormation as an Ansible module than a CloudFormation external resource […] and performing other out of band tasks, letting your ticketing system know about a new stack for example, is a lot easier to integrate into Ansible than trying to wrap the cli tools manually. The above example stack uses the AWS ElastiCache feature of Redis replica groups, which unfortunately isn’t currently supported by CloudFormation. We could only describe the main ElastiCache cluster in CloudFormation. As a workaround, we used to click this missing piece and documented it with Cucumber as explained above. A short look at the Ansible documentation reveals there is currently no support for ElastiCache replica groups in Ansible as well. But a quick research shows we have the possibility to extend Ansible with custom modules. Pretty awesome: Ansible works as a glue language while staying very readable. Actually it’s possible to read through the playbook and have an idea what’s going on. Another great thing is that we can even extend core functionality of Ansible without any friction (as waiting for upstream to accept a commit, build/deploy new packages, etc) which should increase the tool acceptance across coworkers even more. This topic touches another use-case: The possibility to “chain” CloudFormation stacks with Ansible: Reusing Outputs from Stacks as parameters for other stacks. This is especially useful to split big monolithic stacks into smaller ones which as a result can be managed and reused independently (separation of concerns). Last but not least, it’s now easy to extend the Ansible playbook with post processing tasks (remember the RDS/Database example above). As mentioned above, one issue with CloudFormation is a a way to import existing infrastructure into a stack. Luckily, Ansible supports most of the AWS functionality so we can create a playbook to express existing infrastructure as code. As you can see, there is not even a hardcoded VPC ID! Ansible identifies the VPC by a Tag-CIDR tuple, which meets our initial requirement of “no hardcoded data”. To stress this, I changed the aws_region variable to another AWS region, and it was possible to create the basic VPC setup in another region, which is another sign for a successful single-source-of-truth. Now we want to reuse the information of the VPC which we just brought “under control” in the last example. Why should we do this? Well, in order to be fully automated (which is our goal), we cannot afford any hardcoded information. OK, but we also need to reuse the subnet information – and to avoid hardcoding, we need to address them without using subnet IDs. As we tagged the subnets above, we could use the tuple (name-tag, Availability zone) to identify and group them. While this satisfies the single source requirement, it doesn’t seem to scale very well with a bunch of subnets. Imagine you’d have to do this for each subnet (we already have more than 50 at Jimdo). This is a great way to prepare the subnets for later usage, e.g. in iterations, to create RDS or ElastiCache subnet groups. Actually, almost everything in a VPC needs subnet information. Remove hardcoded IDs from existing CloudFormation stacks by parameterizing them via Ansible. Spinning up the VPC including some services in another region in order to prove we are fully single-sourced (e. g. no hardcoded IDs) and automated. I hope this blog post has brought some new thoughts and inspirations to the readers. Happy holidays! Today’s post on using Terraform to build infrastructure on AWS comes from Justin Downing. Building interconnected resources on AWS can be challenging. A simple web application can have a load balancer, application servers, DNS records, and a security group. While a sysadmin can launch and manage these resources from the AWS web console or a CLI tool like fog, doing so can be time consuming and tedious considering all the metadata you have to shuffle amongst the other resources. An elegant solution to this problem has been solved by the fine folks at Hashicorp: Terraform. This tool aims to take the concept of “infrastructure as code” and add the missing pieces that other provisioning tools like fog miss, namely the glue to interconnect your resources. For anyone with a background in software configuration management (Chef, Puppet), then using Terraform should be a natural fit for describing and configuring infrastructure resources. Terraform can be used with several different providers including AWS, GCE, and Digital Ocean. We will be discussing provisioning resources on AWS. You can read more about the built-in AWS provider here. Terraform is written in go and distributed as a package of binaries. You can download the appropriate package from the website. If you are using OSX and homebrew, you can simply brew install terraform to get everything installed and setup. Now, that you have Terraform installed, let’s build some infrastructure! Terraform configuration files are text files that resemble JSON, but are more readable and can include comments. These files should end in .tf (more details on configuration is available here). Rather than invent an example to use Terraform with AWS, I’m going to step through the example published by Hashicorp. NOTE: I am assuming here that you have AWS keys capable of creating/terminating resources. Also, it would help if had the AWS CLI is installed and configured as Terraform will use those credentials to interract with AWS. The example below is using AWS region us-west-2. Here, we initialized a new directory with the example. Then, we created a new keypair and saved the private key to our directory. Here, you will note the files with the tf extension. These are the configuration files used to describe the resources we want to build. As the name indicates, one is the main configuration, one contains the variables used, and one describes the desired output. When you build this configuration, Terrraform will combine all .tf files in the current directory to greate theresource graph. I encourage you to review the configuration details in main.tf, variables.tf, and outputs.tf. With the help of comments and descriptions, it’s very easy to learn how different resources are intended to work together. You can also run plan to see how Terraform intends to build the resources you declared. description: "" =&gt; "Used in the terraform"
access_key = "ABC123" secret_key = "789xyz" key_name = "terraform" key_path = "terraform.pem"
Due to the sensitive information included in this file, it is recommended that you includeterraform.tfvars in your source control ignore list (eg: echo terraform.tfvars >> .gitignore) if you want to share your plan. aws_instance.web (remote-exec): Starting nginx: nginx. You should be able to open the ELB public address in a web browser and see “Welcome to Nginx!” (note: this may take a minute or two after initialization in order for the ELB health check to pass). The terraform.tfstate file is very important as it tracks the status of your resources. As such, if you are sharing your configurations, it is recommended that you include this file in source control. This way, after initializing some resources, another member of your team will not try and re-initialize those same resources. In fact, she can see the status of the resources with terraform show. In the event the state has not been kept up-to-date, you can use terraform refresh to update the state file. And…that’s it! With a few descriptive text files, Terraform is able to build cooperative resources on AWS in a matter of minutes. You no longer need complicated wrappers around existing AWS libraries/tools to orchestrate the creation or destruction of resources. When you are finished, you can simply run terraform destroy to remove all the resources described in your .tf configuration files. With Terraform, building infrastructure resources is as simple as describing them in text. Of course, there is a lot more you can do with this tool including managing DNS records and configure Mailgun. You can even mix these providers together in a single plan (eg: EC2 instances, DNSimple records, Atlas metadata) and Terraform will manage it all! Check out the documentation and examples for the details. Today’s post comes to us from Mark Nunnikhoven, who is the VP of Cloud & Emerging Technologies @TrendMicro. At this year’s re:Invent, AWS introduced a new service (currently in preview) call Lambda. Mitch Garnaat already introduced the service to the advent audience in the first post of the month. Take a minute to read Mitch’s post if you haven’t already. He provides a great overview of the service, it’s goals, and he’s created a handy tool, Kappa, that simplifies using the new service. Of course Mitch’s tool is only useful if you already understand what Lambda does and where best to use it. The goal of this post is to provide that understanding. I think Mitch is understating things when he says that “there are some rough edges”. Like any AWS service, Lambda is starting out small. Thankfully–like other services–the documentation for Lambda is solid. There is little point in creating another walk through setting up a Lambda function. This tutorial from AWS does a great job of the step-by-step. What we’re going to cover today are the current challenges, constraints, and where Lambda might be headed in the future. During a Lambda workflow 2 IAM roles are used. This is the #1 area where people get caught up. A role is an identity used in the permissions framework of AWS. Roles typically have policies attached that dictate what the role can do within AWS. Roles are a great way to provide (and limit) access within passed access and secret keys around. Lambda uses 2 IAM roles during it’s workflow, an invocation role and an execution role. While the terminology is consistent within computer science it’s needlessly confusing for some people. This is an important difference because while the execution role is consistent in the permissions it needs, the invocation role (the trigger) will need different permissions depending on where you’re using you Lambda function. If you’re hooking your Lambda function to an S3 bucket, the invocation role will need the appropriate permissions to have S3 call your Lambda function. This typically includes the lambda:InvokeAsync permission and a trust policy that allows the bucket to assume the invocation role. If you’re hooking your function into a Kinesis event stream, the same logic applies but in this case you’re going to have to allow the invocation role access to your Kinesis stream since it’s a pull model instead of the S3 push model. TL:DR Thank Mitch for starting Kappa. The longer explanation is that packaging up the dependencies of your code can be a bit of the pain. That’s because we have little to no visibility into what’s happening. If you have addition libraries that you’re providing, buckle up. This ride is about to get real bumpy. The closest things we have to a step-by-step on providing additional libraries is this step from one of the AWS tutorials. The instructions here are to install a separate copy of node.js, create a subfolder, and then install the required modules via npm. Now you’re going to .zip your code file and the modules from the subfolder but not the folder itself. From all appearances the .zip needs to be a flat file. I’m hopeful there will be more robust documentation on this soon but in the meantime please share your experiences in the AWS forums or on Twitter. As Lambda is in preview there are additional constraints beyond what you can expect when it is launched into production. These constraints also leads to some AWS recommendations that are worth reading and taking to heart however one stands out above all the others. “Write your Lambda function code in a stateless style”, AWS Lambda docs. This is by far the best piece of advice that one can offer when it comes to Lambda design patterns. Do not try to bolt state on using another service or data store. Treat Lambda as an opportunity to manipulate data mid-stream. Lambda functions execute concurrently.Thinking of it in functional terms will save you a lot of headaches down the road. One of the most common reactions I’ve heard about AWS Lambda is, “So what?”. That’s understandable but if you look at AWS’ track record, they ship very simple but useful services and iterate very quickly on them. While Lambda may feel limited today, expect things to change quickly. Kinesis, DynamoDB, and S3 are just the beginning. The “custom” route today provides a quick and easy way to offload some data processing to Lambda but that will become exponentially more useful as “events” start popping up in other AWS services. Imagine trigger Lambda functions based on SNS messages, CloudWatch Log events, Directory Service events, and so forth. Look to tagging in AWS as an example. It started very simple in EC2 and over the past 24 months has expanded to almost every service and resource in the environment. Event’s will most likely follow the same trajectory and with every new event Lambda gets even more powerful. Getting in on the ground floor of Lambda will allow you to shed more and more of your lower level infrastructure as more events are rolled out to production. Today’s post on managing EC2 Security Groups with Puppet comes to use from Gareth Rushgrove, the awesome curator of DevOps Weekly and who is currently an engineer at PuppetLabs. At Puppet Labs we recently shipped a module to make managing AWS easier. This tutorial shows how it can be used to manage your security groups. EC2 Security groups act as a virtual firewall and are used to isolate instances and other AWS resources from each other and the internet. You’ll also want to have your AWS API credentials in environment variables (or use IAM if you’re running from within AWS). We’re running here with apply and the --test flag so we can easily see what’s happening, but if you have a Puppet master setup you can run with an agent too. You will probably change your security groups over time as you’re infrastructure evolves. And managing that evolution is where Puppet’s declarative approach really shines. You can have confidence in the description of your infrastructure in code because Puppet can tell you about any changes when it runs. Note the information about changes to the ingress rules as we expected. You can also check the changes in the AWS console. The module also has full support for the Puppet resource command, so all of the functionality is available from the command line as well as the DSL. As an example lets clean-up and delete the group created above. Hopefully that’s given you an idea of what’s possible with the Puppet AWS module. You can see more examples of the module in action in the main repository. Our first AWS Advent post comes to us from Mitch Garnaat, the creator of theAWS python library boto and who is currently herding clouds and devops over at Scopely. He’s gonna walk us through how we can discover more about our Amazon Resources using the awesome tool he’s been building, called skew. If you only have one account in AWS and you only use one service in one region, this article probably isn’t for you. However, if you are like me and manage resources in many accounts, across multiple regions, and in many different services, stick around. There are a lot of great tools to help you manage your AWS resources. There is the AWS Web Console, the AWSCLI, various language SDK’s like boto, and a host of third-party tools. The biggest problem I have with most of these tools is that they limit your view of resources to a single region, a single account, and a single service at a time. For example, you have to login to the AWS Console with one set of credentials representing a single account. And once you are logged in, you have to select a single region. And then, finally, you drill into a particular service. The AWSCLI and the SDK’s follow this same basic model. But what if you want to look at resources across regions? Across accounts? Across services? Well, that’s where skew comes in. The name skew is a homonym for SKU (Stock Keeping Unit). SKU’s are the numbers that show up on the bar codes of just about everything you purchase and that SKU number uniquely identifies the product in the vendor’s inventory. When you make a purchase they scan the barcode containing the SKU and can instantly find the pricing data for the item. Similary, skew uses a unique identifier for each one of your AWS resources and allows you to scanthe SKU and quickly find the details for that resource. It also provides some powerful mechanisms to find sets of resources by allowing wildcarding and regular expressions within the SKU’s. ARN’t You Glad You Are Reading This? Because skew is based on botocore, as is AWSCLI, it will use the same credentials as those tools. You need to make a small addition to your ~/.aws/config file to help skew map AWS account ID’s to the profiles in the config file. Check the README for details on that. Finding a single resource in AWS is okay but one of the nice things about skew is that it allows you to quickly find lots of resources in AWS. And you don’t have to worry about which region those resources are in or in which account they reside. The ARN provides a great way to uniquely identify AWS resources but it doesn’t exactly roll off the tongue. Skew provides some help for constructing ARN’s interactively. A recent feature of skew allows you to run queries against the resource data. This feature makes use of jmespath which is a really nice JSON query engine. It was originally written in Python for use on the AWSCLI but is now available in a number of other languages. If you have ever used the --queryoption of the AWSCLI, then you have used jmespath. Then each resource returned would have the instance type store in the filtered_data attribute of theResource object. This is obviously a very simple example but jmespath is very powerful and the interactive query tool available on http://jmespath.org/ allows you to try your queries out beforehand to get exactly what you want. Today’s post on how to achieve high availability in AWS with keepalived comes to us from Julian Dunn, who’s currently helping improve things at Chef. By now, most everyone knows that running infrastructure in AWS is not the same as a traditional data center, thus putting a lie to claims that you can just “lift and shift to the cloud”. In AWS, one normally achieves “high-availability” by scaling horizontally. For example, if you have a WordPress site, you could create several identical WordPress servers and put them all behind an Elastic Load Balancer (ELB), and connect them all to the same database. That way, if one of these servers fails, the ELB will stop directing traffic to it, but your site will still be available. But about that database – isn’t it also a single-point-of-failure? You can’t very well pull the same horizontal-redundancy trick for services that explicitly have one writer (and potentially many readers). For a database, you could probably use Amazon Relational Database Server (RDS), but suppose Amazon doesn’t have a handy highly-available Platform-as-a-Service variant for the service you need? In this post, I’ll show you how to use that old standby, keepalived, in conjunction with Virtual Private Cloud (VPC) features, to achieve real high-availability in AWS for systems that can’t be horizontally replicated. Some kind of cluster coordination system to handle master/backup election, as well as doing all the housekeeping to move the service IP and block device to the active node. Private secondary addresses on an Elastic Network Interface (ENI) as the service IP. keepalived as the cluster coordination system. There are a few limitations to this approach in AWS. Most important is that all instances and the block storage device must live in the same VPC subnet, which implies that they live in the same availability zone (AZ). Keepalived for Linux has been around for over ten years, and while it is very robust and reliable, it can be very difficult to grasp because it is designed for a variety of use cases, some very distinct from the one we are going to implement. Software design diagrams like this one do not necessarily aid in understanding how it works. As previously mentioned, keepalived serves as a cluster coordination system between two or more peers. Keepalived uses the Virtual Router Redundancy Protocol (VRRP) for assigning the service IP to the active instance. It does this by talking to the Linux netlink layer directly. Thus, don’t try to useifconfig to examine whether the master’s interface has the VIP, as ifconfig doesn’t use netlink system calls and the VIP won’t show up! Use ip addr instead. VRRP is normally run over multicast in a closed network segment. However, in a cloud environment where multicast is not permitted, we must use unicast, which implies that we need to list all peers participating in the cluster. Keepalived has the ability to invoke external scripts whenever a cluster member transitions from backup to master (or vice-versa). We will use this functionality to associate and mount the EBS block device (or the inverse, when transitioning from master to backup). You’ll notice that one of the security groups I’ve placed the machines into is entitled internal-icmp, which is a group I created to allow the instances to ping each other (send ICMP Echo Request and receive ICMP Echo Reply). This is what keepalived will use as a heartbeat mechanism between nodes. Note that the volume needs to be partitioned and formatted at some point; I don’t do that in this tutorial. 172.31.36.57 is the virtual IP address which will be bound as a secondary IP address to the active master’s Elastic Network Interface. You can pick anything unused in your subnet. As previously mentioned, the external script is invoked whenever a master-to-backup or backup-to-master event occurs, via the notify_backup and notify_master directives in keepalived.conf. Upon receiving an event, it will associate and mount (or unmount and disassociate) the EBS volume from the instance, and attach or release the ENI secondary address. The script is too long to reproduce inline here, so I’ve included it as a separate Gist. Note: For brevity, I’ve eliminated a lot of error-handling from the script, so it may or may not work out-of-the-box. In a real implementation, you need to check for many error conditions like open files on a disk volume, poll for the EC2 API to attach/release the volume, etc. Dec 09 21:14:45 ip-172-31-40-96.ec2.internal Keepalived_vrrp: VRRP_Instance(VI_1) setting protocol VIPs. Dec 09 21:25:06 ip-172-31-40-95.ec2.internal Keepalived_vrrp: VRRP_Instance(VI_1) setting protocol VIPs. After a while, the backup should be reachable on the VIP, and have the disk volume mounted under/mnt. If you now start keepalived on the old master, it should come back online as the new backup. As we’ve seen, it’s not always possible to architect systems in AWS for horizontal redundancy. Many pieces of software, particularly those involving one writer and many readers, cannot be set up this way. In other situations, it’s not desirable to build horizontal redundancy. One real-life example is a highly-available large shared cache system (e.g. squid or varnish) where it would be costly to rebuild terabytes of cache on instance failure. At Chef Software, we use an expanded version of the tools shown here to implement our Chef Server High-Availability solution.